“An absorbing and moving tale” (Publishers Weekly)—a uniquely American story of the consequences of past decisions on present realities.After World War II, the Needham family moved north to Philadelphia from South Carolina, leaving behind the tragic injustice surrounding the violent death of their patriarch, King. His devoted widow, Selma, remains on the old home place. Over the years, she raises King’s children, including his great-grandson, Rayne, on whom falls the responsibility of bringing the family together, saving the family land, and mending the rift with his mother.If Sons, Then Heirs is a tour de force that explores the power of family secrets, bonds, and love. Rayne and the other characters face challenges big and small that mirror the experiences of families everywhere. 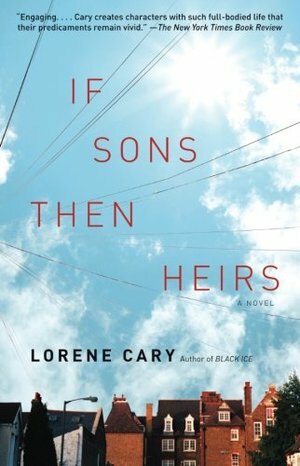 But in the masterful storytelling of Lorene Cary, their voices are so distinct and unique that they will live in the minds of readers long after the last page is read.